I’d recommend it to anyone who likes true crime stuff, with a cautionary word about the reader. I was able to get used to his voice, but it is rather strange. What was one of the most memorable moments of The World’s Most Bizarre Murders? Have you listened to any of Drew Campbell’s other performances before? How does this one compare? This was the first book I bought of his, and it’ll probably be the last (save the one I already bought, I got two at once). It’s not as horrible as some other reviewers have said, but it is weird. His accent is very weird, like it’s not real or something. That’s really all that’s wrong, though. He does a good job with the reading part. All in all, it was a pretty great book. A few cases I already knew, but mostly stuff that I haven’t, which is getting rarer and rarer with all the true crime stuff I read about and watch on TV. It gets a very good 8/10 from me. A bit disappointed in this one. Made by the team who brought us Cropsey (which I’ve wanted to watch for forever, but just haven’t gotten around to it), it promised to be good. But the first thing I noticed was that the man, Joshua, seemed to be more interested in having his face on the camera than his guests. If he wasn’t in a particular frame, he’d actually lean forward so that he was. His feigned sadness was also a little grating, because it was very obviously fake. He’d stand at a murder sight, talk in a mournful voice, shuffle his feet, sigh, etc. The girl, Rachel, also did it, but to a much lesser degree. Joshua’s voice-over voice was also grating, much different from his normal talking voice, and slightly ridiculous. Now that we’ve got all the bad aside, we can focus on the good. 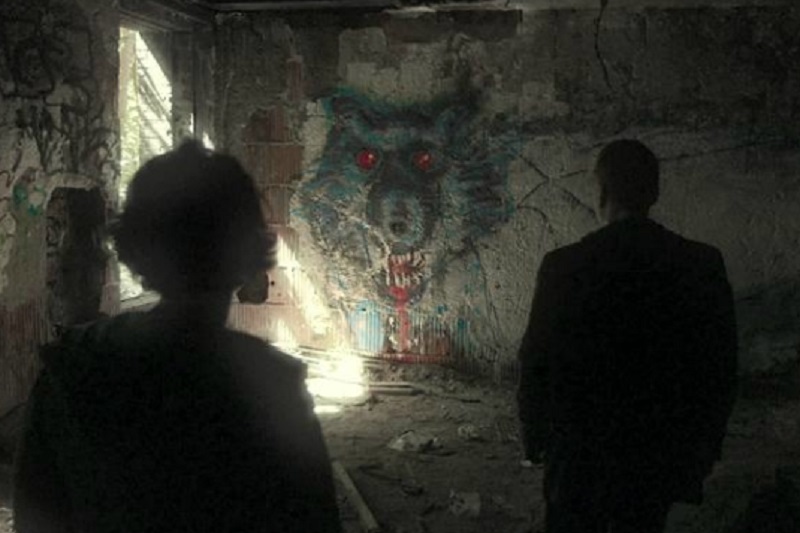 The subject matter was very interesting, the premise being that urban legends always come from some truth. They take four famous legends (The Hook Man, Killer Clowns, The Babysitter Killer, and Deadly Halloween Candy) and dig around to find real life cases that might have been the beginning of these legends. They travel to the towns where the murders happened, talk to the locals, and, if there are any left alive, people who were there when the crime happened. It was quite interesting. Despite the fact that I spent the entire film wanting to punch the guy in the face, I still give it a 7/10, because the content was very interesting. But dude, if ever you read this (which I doubt), here’s a little advice: Unless it’s an autobiography, the audience isn’t interested in seeing you. The focus should be on the subject of the documentary. This film is currently playing on Netflix US and YouTube. Although I should probably warn you, there are crime scene photos. Pretty graphic too. So if real dead bodies scare the crap out of you, stay far, far away. 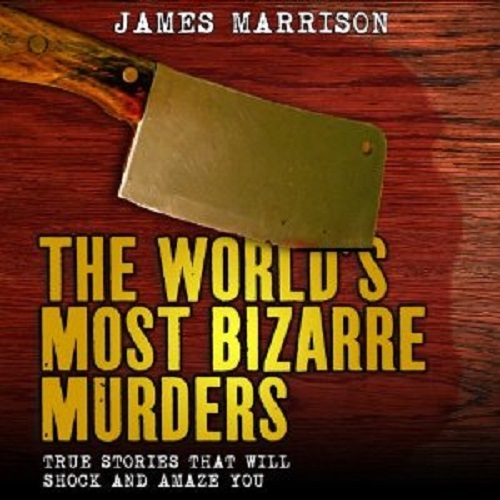 If you could sum up The Mammoth Book of Bizarre Crimes in three words, what would they be? The narrator does a great job telling the gruesome stories in the most light-hearted way that he can. I wasn’t sure I liked him at the start of the book, but I grew quite fond of him quickly. He’s also one of the best I’ve heard at doing accents, he was pretty amazing! Have you listened to any of David Shaw-Parker’s other performances before? How does this one compare? 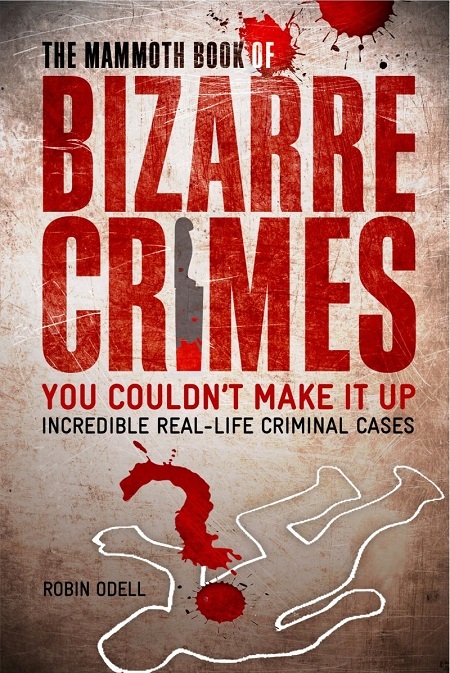 If you could give The Mammoth Book of Bizarre Crimes a new subtitle, what would it be? This book gets a wonderful 9/10 from me. I’d have given it a full 10 stars, but I skipped the whole section on contract killings, mafia hits and assassins. That kind of stuff has never really interested me. But everything else was a great, albeit sometimes gruesome, read (or should I say listen? hehe). Only about half of the stories (of which there are 300) are what I would call truly bizarre, but maybe that’s just me being slightly blasé on the subject, after having read so many books and watched so many shows about it. I’d definitely reccomend this book to anyone who, like me, has a penchant for the macabre.